213 Cameo Ln, Madison, WI.| MLS# 1854133 | John Reuter Realtor/Broker/Owner of The Reuter Team. Wisconsin Homes for Heroes Realtor. Proud to be the Top Homes for Heroes Realtors in Wisconsin and One the Top Homes for Heroes Realtors in the United States. Showings start Friday 4/12. Don't miss out on this lovely, well maintained, and updated ranch style home. 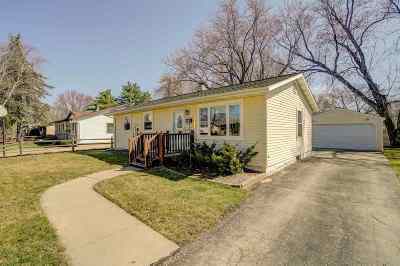 This home features beautiful hardwood floors throughout, updated kitchen and appliances, large fenced in yard, and a finished lower level with a wet bar to entertain friends and family. Conveniently located near shopping, restaurants, and parks.